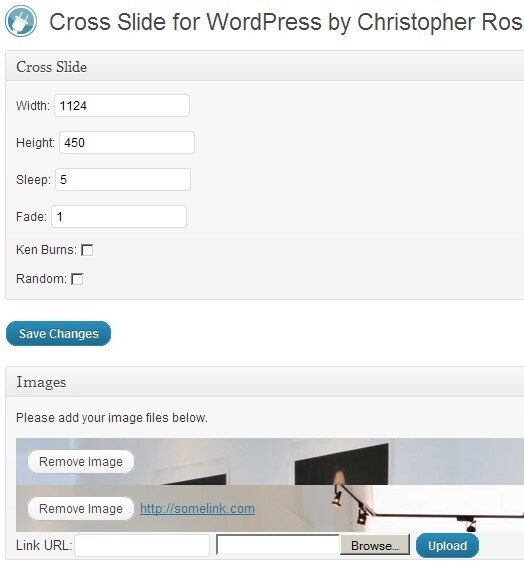 This entry was posted in Dev and tagged Christopher Ross, Cross Slide Cross Fade, crossSlide, Hack, images, jQuery, Link, Plugin, WordPress by André SC. Bookmark the permalink. Am a bit snowed under at the moment, but will make some time to at least have a look at making the urls work in the Ken Burns effect.